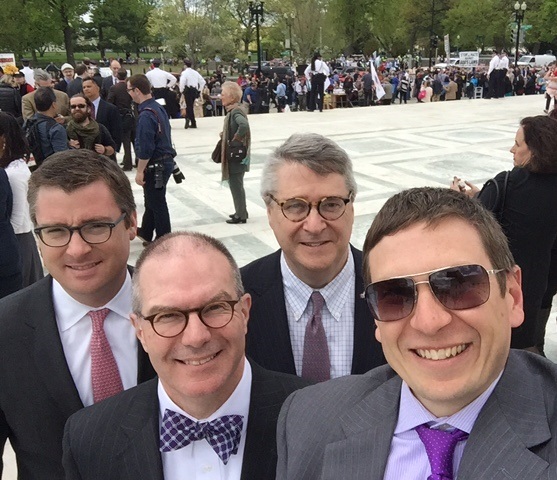 Sherrard Roe Voigt & Harbison is pleased to announce that the American Civil Liberties Union of Tennessee honored Bill Harbison, Phillip Cramer, Scott Hickman and John Farringer for their part in the Tanco v. Haslam marriage recognition case. The Bill of Rights Celebration was held on September 30th at the Noah Liff Opera Center in Nashville. The Firm congratulates the attorneys on this honor.